When planning a bathroom remodel near Jacksonville, make a list of what’s important to you. Think about the overall look you’re trying to achieve, as well as how you can bring it to life with your shower, toilet, and vanity. While these larger fixtures and appliances—along with the style of the walls, floors, and ceiling—tend to be the stars of bathroom design, minor accessories can also make a big difference. Don’t look over the smaller elements when planning for your model, as they provide the perfect opportunity for accenting your overall bathroom design. If you’re considering new accessories for your bathroom remodeling project, keep reading for ideas. 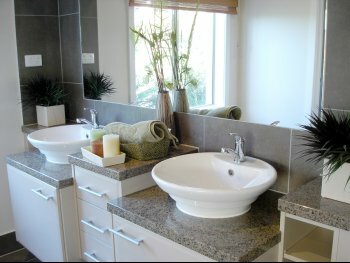 A new shower or set of cabinets can make a big and obvious impact on the overall appearance of your bathroom. When it comes to the subtler nuances of your design, look towards smaller accessories. Is the faucet on your bathroom sink old, outdated, or falling apart? Replace it with a shiny new one. Are your towel bars too reminiscent of your old design? Get new ones that tie your remodel together. Even shelves and soap dishes can make an impact on your renovation, so don’t forget about the small stuff. Leaks in your sewer or hot water heater near Jacksonville can cause serious plumbing problems for your home or business. However, the slow drip from your faucet isn’t good for your plumbing system or your wallet either. The periodic dripping sound is torture to some people, which is one reason it’s best to have a professional plumber take a look . Watch this video and see how much water is wasted by a leaky faucet. 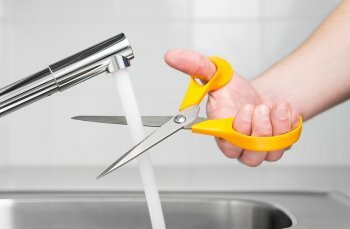 If you turn your faucet all the way off and yet drops of water still drip out on a regular basis, you’re going to continue losing water until the problem is solved. It doesn’t take long for this waste to add up, and you could lose as much as 100 liters of water in a single month, just from a single leaky faucet. You’re still paying for the water you waste, so take care of the leak quickly. 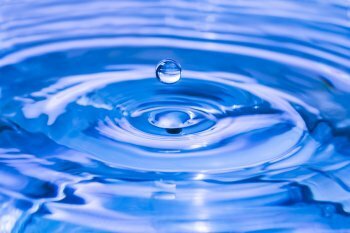 What Are the Differences Between Soft and Hard Water? You might think that everyone’s tap water is the same, but this is far from the case. The quality of your water affects all of your plumbing appliances, fixtures, and systems, including your sewer and your hot water heater near Jacksonville. It helps to understand the distinction between soft and hard water. The hardness of water exists on a spectrum, and water that’s too far to one side can cause problems that require professional plumbing repairs . You can protect your appliances and your plumbing system as a whole by recognizing the differences. Continue reading to learn about the differences between soft and hard water. Your dishes should be sparklingly clean when you finish running the dishwasher, but if you have hard water, you might not be so lucky. Hard water has a tendency to leave a scaly residue behind. You might find it on your plates and silverware, in your bathtub or shower, or even inside your hot water heater. These residues are due to high concentrations of magnesium and calcium that are present in hard water. If you have soft water, you won’t have to worry about any kind of scaly buildup, and you’ll be pleased with what you see when you put your dishes away. One of the biggest problems with hard water is that it is reluctant to create soap lather. The harder it is to get soap to lather, the more detergent or soap it will take to wash your dishes, your clothes, or even your hair. This means you have to spend extra money on cleaning products because it takes so much more to get the job done. With soft water, on the other hand, you’ll have no trouble getting your soap to lather. This saves money and makes doing chores and taking care of your hygiene that much easier. A shower should be refreshing, but it might not be if you have hard water. It won’t lather well, and it might even make your skin or hair feel weird after you take a shower. Ask your plumber how you can soften your water. If you’re taking on a kitchen or bathroom remodel near Jacksonville, you might be wondering what you can do to help out the environment and conserve water. Upgrading appliances like your hot water heaters can be of help, but there are steps you can take to save water regardless of what kind of equipment you have. Consider how you use water when you’re brushing your teeth, showering, and going through your morning routine. Take care of plumbing repairs right away so leaks don’t get out of hand, and don’t waste water by putting up small loads of laundry. Keep reading for more on the surprising ways you may be wasting water. Taking care of your teeth and showering at the same time could actually be a good way to conserve water, but it’s not everyone’s favorite thing to do. However, you should be cognizant of your water use when doing either of these things. Don’t leave the water running the whole time you’re brushing your teeth—just turn it on when you rinse off your brush. On the same token, don’t turn on the shower water until you’re ready to get in, and try to clean up as quickly as possible to conserve. You should always handle plumbing repairs as soon as you can. A small leak shouldn’t be underestimated, as it can lead to extensive damage and costly kitchen or bathroom remodels. Whether your kitchen faucet has a bit of a drip or you see water coming from the base of your toilet, don’t wait to call your plumber. In addition to wasting water, leaks also lead to structural damage and mold growth. Call the professionals and take care of the problem as soon as you notice it. In most cases, a washing machine will use the same amount of water to clean one pair of shorts as it will to wash a whole load. Make the most of your water by only putting in full loads. This way all the water is put to use, and you won’t have to do extra loads later.